// the first snow, I bundled up the boys and got all the way out of our building to find...grass. By the time Hudson's morning nap was over, everything had melted! 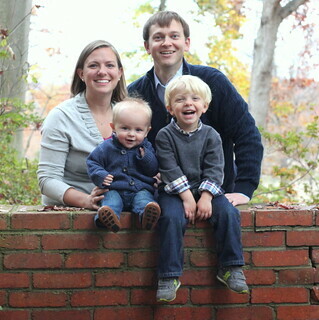 // the next time it snowed I was outside with the boys by 9am eager to document Hudson's "first" snow. 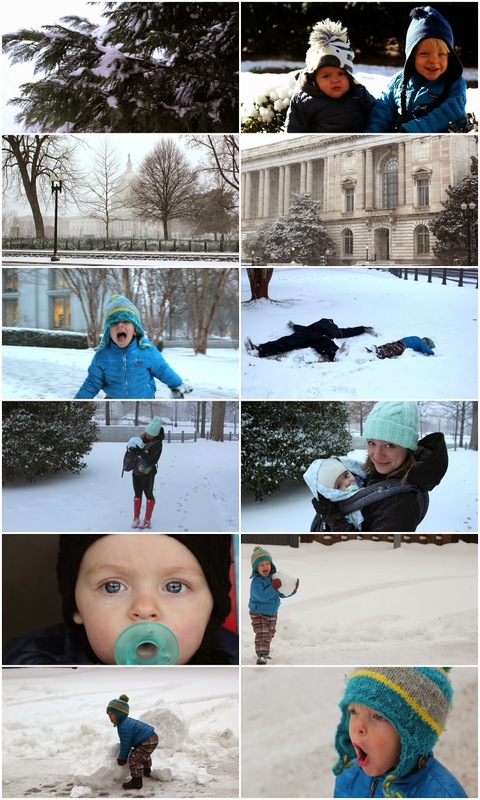 // the first polar vortex had us trekking through blizzard conditions to snap some photos of the Capitol and surround buildings. It was so cold my phone shut off shortly after getting this shot. // Mark was finally able to play in the snow with us and snow angels abounded. // and then we got real snow! lots of snow! so logically, we played in our back alley, tried to build a snowman, and realized Behr liked smashing the snow much more than building with it. What are some of your favorite winter pastimes? These free penguin printable worksheets from Meet Penny. Playing "Don't Break the Ice" with a wet paper towel over a bowl (use a rubber band to hold in place) and a set of marbles, or in our case rocks. What are your go-to indoor activities?